Paramedics and media crews at the location minutes after the attack on the beach that killed the four Bakr children as they were playing on the beach. The Legal Center for Arab Minority Rights in Israel, Al Mezan Center for Human Rights (Gaza), and the Palestinian Center for Human Rights (Gaza) sent a letter [PDF] on 20 August 2017 to senior Israeli legal officials demanding that they respond to the appeals submitted against the closure of the investigation into the 2014 killing of four children on a Gaza beach and order the military to hand over materials from its investigation. “Operation Protective Edge”, the Israeli forces fired missiles that killed four children of the Bakr family – Ahed (10 years), Zakaria (10 years), Mohammed (11 years) and Ismail (10 years) – while they were playing soccer on Gaza City’s fishermen’s beach. Six other civilians were also wounded in the missile attack, including four children from the Bakr family. This incident was witnessed by foreign journalists covering the 2014 Gaza war and it received widespread global media coverage. Two days later, Adalah and Al Mezan sent a letter to the Israeli defense minister, the military advocate general, and the attorney general, demanding an investigation into the killing of the Bakr boys. Almost one year later, on 11 June 2015, the Israeli army announced the closure of the investigation without further measures. Two months after that, in August 2015, the organizations filed an appeal on behalf of the victims’ families demanding access to investigatory materials and a reopening of the probe. The Israeli authorities have failed since then to respond to the request. The Palestinian Center for Human Rights (PCHR) in Gaza also submitted a complaint and later an appeal to the AG against the MAG’s decision to close the case in August 2015. Despite providing the military with additional materials, sending several reminders and requesting access to the investigatory materials, PCHR was also unable to get any response from the MAG or the State Attorney regarding this case. In their 20 August 2017 letter to Osnat Mendel, director of the Supreme Court Department in the Israeli State Attorney’s Office, the three human rights organizations also demanded Israeli Attorney General Avichai Mandelblit issue a decision on the appeals against the closure of the Bakr boys investigation. On 16 July 2014, Israeli forces fired missiles that killed the four Baker boys – Ahed, Zakaria, Muhammad and Ismail – as they played soccer on a Gaza City beach. The killing of the boys, all aged between 10 and 11, was witnessed by international journalists at a nearby hotel. Their deaths became emblematic of the horrific violence Israel meted out for 51 days against Palestinians in Gaza that summer, leaving 2,251 Palestinians, including 551 children dead – about one in every 1,000 Gazans was killed. Now, Israel’s handling of the investigation into how and why the boys were killed exemplifies the total impunity Israeli forces enjoy for the mass killing of civilians and wanton destruction from which Gaza has still not recovered. Two days after the killings, Gaza’s Al Mezan Center for Human Rights and Adalah, a human rights group in present-day Israel, wrote to Israel’s defense minister, military advocate general and attorney general demanding an investigation. About a year later, Israel closed the investigation without further measures. In August 2015, the two human rights groups filed an appeal on behalf of the boys’ families demanding to see evidence in the case and a reopening of the investigation. For two more years, Israel has simply ignored the request. A similar request from a third group, the Palestinian Center for Human Rights, has also been ignored. The video above published by Al Mezan in 2015 tells the story of the Baker boys, including testimonies of children who survived the attack. Al Mezan and Adalah say in a new report [pdf] that Israel’s refusal to seriously investigate allegations of war crimes and other serious breaches of international law during its assault on Gaza has been the norm. After the 2014 war, the two groups jointly filed 28 cases that “concerned severe events that resulted in the killing and serious injury of Palestinian civilians, including women and children and the massive destruction of civilian objects.” In all these cases, there was evidence of serious breaches of the laws of war. But three years later, 13 files have been closed without opening a criminal investigation. Another 14 are still under investigation or have received no response. One – the Baker boys case – is under appeal. None [pdf] has resulted in an indictment. Moreover, every one of these cases involved incidents of looting by Israeli soldiers, or torture and ill-treatment of detainees, but not one case involved attacks on civilians or civilian objects. “These facts also speak to the deliberate focus of proceedings on low-level or marginal perpetrators, despite the availability of information on serious crimes committed by senior officials and military commanders,” the report states. The numbers released by Israel itself confirm the staggering scale of impunity. According to an update it provided last year, Israel’s military advocate general said it received complaints about 360 incidents during the assault on Gaza. Three years after the war, only seven led to the opening of a criminal investigation. One of those cases was the Baker boys, which was then closed. Israel has also refused to release investigatory materials to victims’ advocates. While Israel claims to investigate thoroughly, Al Mezan and Adalah document how sloppy its pretexts are for refusing to take action. On the night of 22 August 2014, an Israeli warplane fired two missiles at the home of the Abu Dahrouj family in central Gaza. The attack killed five members of the family, including two children, and caused extensive injuries and damage in the neighborhood. Israel acknowledged that the attack was carried out against a civilian home and did not target a combatant or military object, yet closed the case without action against those involved. And in the case of the Baker boys, the report notes, the Israeli military did not collect testimonies from journalists or from Palestinian witnesses who were on site at the time of the killings. The cases Israel has closed include those involving attacks on schools run by UNRWA, the UN agency for Palestine refugees. A UN board of inquiry found that Israel killed dozens of civilians sheltering at such schools during the assault. The Israeli human rights group B’Tselem reached a similar conclusion about Israel’s investigations of killings and injuries of Palestinians by Israeli occupation forces in the West Bank, announcing last year that it would refuse any longer to serve as a “fig leaf” for a sham justice system. So why even pursue cases through Israel’s sham system? There is a good reason. 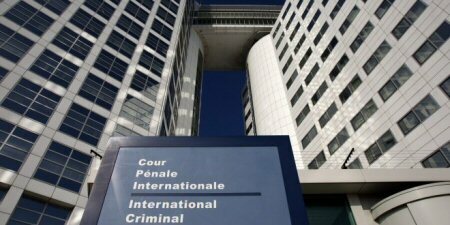 Israel’s conduct during the Gaza war, as well as in the West Bank, is currently the subject of a preliminary examination by the prosecutors at the International Criminal Court in The Hague. The prosecutors must decide whether to open a full investigation, which could lead to formal indictments of Israeli officials and military personnel. But according to its founding statute [pdf], the International Criminal Court only steps in when national judicial authorities are unwilling or unable to carry out genuine proceedings. There is no time limit on the preliminary examination, so the prosecutors in The Hague – under constant pressure from Israel and the United States – could sit on it indefinitely, like so many other international functionaries who have failed in their duty to hold Israel accountable. But the incontrovertible evidence that Israel refuses to seriously investigate the crimes committed in Gaza gives the prosecutors one less excuse to let Israel off the hook. The Human Rights Watch (HRW) accused the Israeli authorities on Monday of barring its employees working in documenting human rights violations from travelling into and out of the Gaza Strip. The international organization said in a statement that these Israeli restrictions raise doubts about the Israeli military authorities' allegations that they rely on human rights organizations as an important source of information in their criminal investigations into possible war crimes committed in the 2014 war against Gaza. The statement followed a report issued by the organization accusing Israel of systematically blocking human rights workers from entering or leaving the Gaza Strip even in the absence of any security claim against them. The HRW also accused Egypt of imposing strict travel restrictions on its border with Gaza, calling on the International Criminal Court's office to take into consideration these restrictions in the context of its preliminary examination of the situation in the Palestinian territories. Since 2008, the HRW has obtained only one permission to bring foreign staff into Gaza though Israel in a visit in September 2016 which was described by the Israeli authorities as exceptional. The HRW demanded the Israeli authorities to end this blanket travel ban and allow all Palestinians to enter and leave Gaza freely. For his part, the director of the Palestinian Center for Human Rights, Raji al-Sourani, said that the HRW's report reflects the current situation of the movement of human rights workers in the Palestinian territories which has been disrupted to a large extent. According to Quds Press news agency, Sourani affirmed that Israel "hinders access to justice" by restricting the movement of human rights workers, adding that such restrictions led to freezing most of the international organizations' activities in the Gaza Strip. The Palestinian activist pointed out that four human rights organizations have presented a legal memorandum to the International Criminal Court's prosecutor who was prevented from entering the Gaza Strip to conduct the necessary investigations. Israel imposed a blockade on the Gazan citizens after Hamas Movement won the legislative elections in January 2006 and tightened it in mid-June in 2007. The Egyptian authorities have been closing the Rafah crossing, which links between the Gaza Strip and the Egyptian territories, almost completely since 2013 for "security reasons". The crossing is opened at spaced intervals to allow humanitarian cases to travel. The Palestinian Center for Human Rights (PCHR) has affirmed that six legal memorandums have been submitted to the International Criminal Court (ICC) in The Hague on Israel’s war crimes against the Palestinians in the embattled Gaza Strip and the occupied territories. The ICC was also addressed seven times on the subject by a crew of Palestinian and international lawyers, according to the PCHR. This came during a discussion held in Gaza by the center with national and media figures on the situation of human rights in the occupied Palestinian territories and the efforts made abroad to prosecute Israeli war criminals. 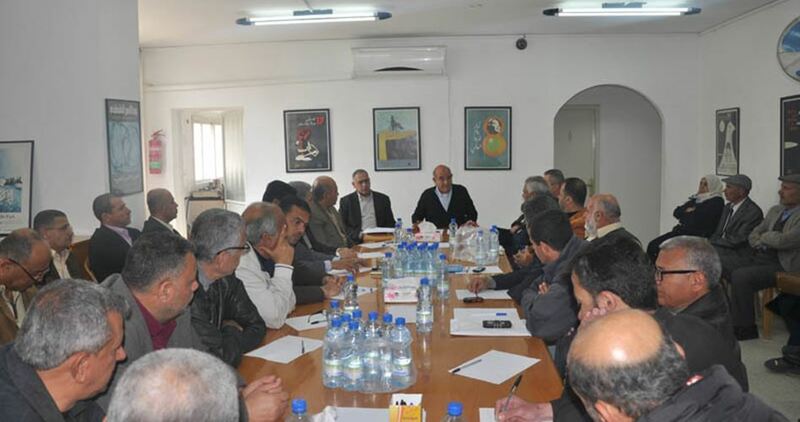 During the meeting, PCHR director Raji al-Surani expressed hope that the court would take a clear and final decision in the current year with regard to accepting the lawsuits filed on behalf of Palestinian victims. Surani said the ICC received legal papers on different war crimes committed by Israel, as an occupying power, against the Palestinians, including its wars and blockade on Gaza and its human rights violations resulting from its settlement activities in the occupied Palestinian territories. 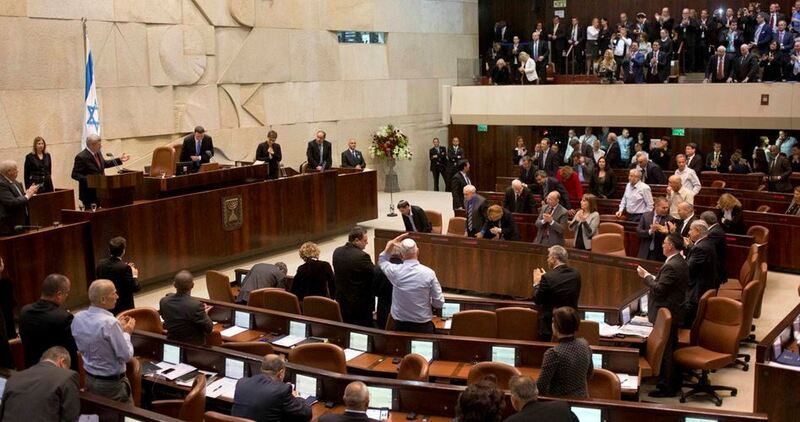 The Israeli Knesset refused a motion by the opposition to name a state commission of inquiry to investigate Gaza 2014 war report, Israel Hayom Hebrew newspaper said. The motion, presented to parliament by Meretz MK Michal Rozin, was dismissed with a vote of 44 to 22. "While everyone is talking about the previous war, I want to talk about the next war," Rozin said. The Israeli government accepts the next war as a fait accompli. Politicians are busy trading barbs and looking for someone to blame in the military and in the cabinet. They don't talk about the next war, only the previous one, she added. On Tuesday, Israeli retired judge Yosef Shapira issued a report leveled at the Diplomatic-Security Cabinet over its conduct during the 2014 aggression on the Gaza Strip. Shapira's report criticized the fact that Israeli Army Minister Moshe Ya'alon and IOF Chief Benny Gantz, as well as Prime Minister Benjamin Netanyahu did not properly brief the cabinet on the threat posed by Palestinian resistance tunnels used by Hamas Movement during the aggression. "If the prime minister updated [the cabinet] over everything there would be more leaks. The more transparency you pursue, the greater the risk that things will leak," he said. On July 7, 2014 Israel launched a bloody aggression on Gaza Strip which lasted for 51 days and left 2,251 dead including 551 children and 11,000 injured persons.